The images have been uploaded in a semi-edited state due to time pressures at the time of recording. We are aware that these images fall below the normal standard of PAS images and we intend to fully edit them in the future. 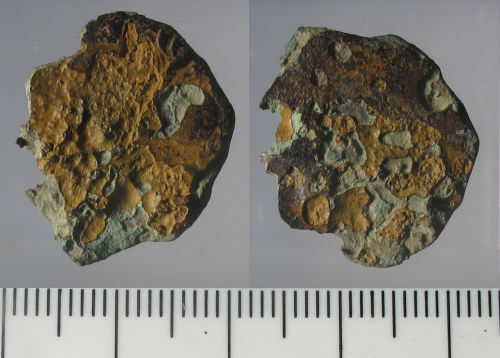 A copper alloy Roman radiate or nummus of an uncertain ruler, dating to the period AD 260-402. Uncertain reverse type. Uncertain mint.